died Crewkerne, Somerset c7 April 2005.
of fungi, especially of woodland species. insects, plants and fungi, and at school also became a proficient pianist and organist. straight into the arms of his examiner - who turned out to be Ralph Vaughan Williams. also fascinated by beetles, and over a lifetime amassed a large collection of mounted specimens which he left to the Royal Scottish Museum. Society. He was later made an honorary associate of the society but, being averse to large groups, he rarely attended its meetings and forays. descriptions of new species, complete with line drawings. At this time he also received an MSc from the university for his work on fungi. is only now in preparation. years. In 1986 he returned south to Crewkerne, Somerset, becoming a first-time house buyer at the age of 70. Peter Orton was by nature something of a loner. He had suffered from measles as a teenager which left him partially deaf and with poor eyesight. one small brown fungus from another. 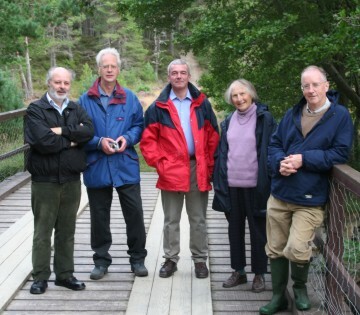 On 28 August 2005 a 'Celebration' of Peter Orton's life was held at Forest Lodge, Nethy Bridge, in recognition of the extensive work he carried out in the Abernethy Forest. 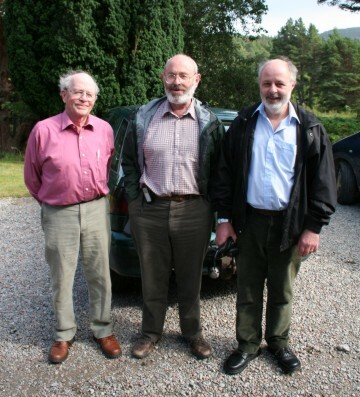 It was attended by many of his former friends and colleagues as well as a number of former pupils and staff of Rannoch. This piece is uncredited but appears to have been extracted from an Epsom College magazine. Life after teaching at Epsom. I left Epsom College in luly 1955 and moved to Reading University to make up a Check List of British Agarics and Boleti (i.e. mushrooms and toadstools to the uninitiated). This had never been done in detail before, though a preliminary list was published in 1948. Much work was being done on agarics at this time, especially in France and Germary, and one was dealing with a group of at least 2000 species. I set out to give dates and place of publication of all names quoted and to write a paper explaining and amplifying this list which finally totalled over 1700 species with a fair number still awaiting clarification. With many new species having been described since the total now would be nearer 2200 species, I suspect. At first three years was suggested for the job and the Nuffield Foundation gave me a grant for that period to be administered from Reading University, where I already had a contact in the botany department. At the end of the three years the List was nowhere near ready because much research in old literature was needed to try and make the details of the names used in the List and the names themselves as accurate as possible This meant commuting at intervals three or four times a week to the Herbarium of the Royal Botanic Gardens, Kew, to use the library there and to investigate material already deposited in the Herbarium. In 1958 I received an additional grant for one further year and hoped that I could then return to teaching. The typing was done by luly 1959 800 pages of double spaced foolscap for the List and another 800 for the accompanying paper. 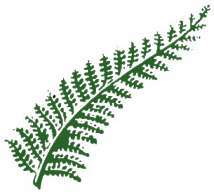 Although there was still more work to be done on the List, in particular illustrations prepared and drawn, I took a temporary post in September 1959 at a school in Herefordshire as a Biology teacher but left in January I960 to go to the Royal Botanic Garden, Edinburgh so as to be on the spot to do the further work that was needed. I therefore did forty pages of illustrations which took one month doing nothing else. I had seen advertisements for a Biology Teacher at a new school, Rannoch School, Perthshire in I960, and eventually applied. After meeting the Headmaster and then one or two other masters. I was offered the job on the spot and thankfully accepted it. Thus ended the first stage of my life after leaving Epsom College. It had been a very interesting but at times rather exhausting task but was very well worth while and after the work was published in September 1960 it brought in correspondence from all over the world, Europe in particular.I shall always be very grateful to the many friends who helped me in one way or another in those years. At Rannoch I found myself English teacher and form master for 28 boys of whom twelve had names beginning with Mac or Mc. which took a little getting used to. The textbooks provided by the school were not very encouraging, so I made a trip to Edinburgh as soon as possible and found something better there. I also had a small group of remedial English who had to be taught more or less individually for they were very much behind the normal for their age, often because they came from overseas and had never had a settled education. During my second year a Maths Master was engaged but failed to turn up and his classes had to be farmed out to other teachers. I was asked to take one and was given a fourth-form set. I taught Biology for four years and then was asked to do more Maths and English and drop Biology. I was happy to teach Maths and English only, two essential subjects after all, and for the rest of my time at Rannoch I had roughly equal amounts of these two subjects. Thus the Music teaching had vanished and now Biology went also. A feature at Rannoch School from its start which has continued right down to the present day is 'Expeditions' - rightly so in my view of the school's situation. These began as organised outings from Friday sometime after afternoon school to Sunday afternoon in the summer term. In the early years a senior boy was in charge but a master went along to 'carry the can'. The boys were a cross-section including third, fourth and fifth form members from different houses making a party of eight to ten boys. Transport was provided to take the parties out to a suitable starting point and to bring them back on Sunday afternoon. This meant that, for instance, Ben Alder could be climbed using the mountaineering hut at the wet end of Loch Ericht for overnight accommodation. On my first expedition we left school about 6.30pm and walked the nine miles from where we were set down through pine woods and then across a peat-hag arriving at the hut after 11pm, It was still light at Il pm at that time of year at Rannoch. That was a very good introduction to expeditions for me, but there were occasions when things were not so good with rain, wind and mist to contend with. A very memorable weekend was made a few years later when all the hills over 3000 feet in Perthshire were climbed by members of the school in one weekend. This meant many small groups of three or more being dispersed and each lot climbing one or more peaks. This took some organising but the master in charge of expeditions was very good at organising. Not all boys appreciated expeditions, but most did and looked back on these outings feeling they achieved something. As a keen young master I was out on nine weekends of my first summer term, but this number shrank to five or six as time went on. Later on I also took out some private expeditions which were organised by the boys to go somewhere of their choice approved by authority and with a master of their choice These expeditions were very good too and were usually made up on a house basis. In the early years of the school I ran a 'Field Club' collecting bugs and beetles which in a classic locality such as the to which the school, was situated were very interesting. When the school got larger the boys seemed to have no time or inclination for such pursuits. I played the piano for school services on a regular basis until late in my career at Rannoch when a full time teacher was appointed with organ! Nevertheless I soon found that the boys of Rannoch could raise the roof singing the hymn ‘Praise My Soul The King Of Heaven’ just as those of Epsom College had done when I played the hymn for them there. Towards the end of my time at Rannoch I gave a piano recital once a year which was duly tape recorded. It was quite an eye-opener or should I say ear-opener to hear myself playing and most of it sounded quite good and much better than I thought when listening as a player. I spent Sept 1969 to July 1970 at the Royal Botanic Garden, Edinburgh, doing more work on toadstools, which was a bit of an interruption but enabled me to get more work done on a difficult and large group which I had been working on from Epsom days. I have now started writing this work up but the job is really too big for me alone, but I have by good luck found someone keen on the group and younger by fifty years to help me and hopefully something will get into print eventually. I had become a housemaster three years before I went off on this ploy and did not get back to housemastering for various reasons but fortunately managed to keep my position in the school. Beetle collecting and setting and fungus hunting carried on all the time I was at Rannoch School and somewhat to my surprise I eventually received a letter from one of the Entomological staff at The Royal Museum of Scotland in Edinburgh saying that there would be a home for my beetles there when necessary. I found that the writer was from Rannoch School and had been taught English and Maths by me but I knew nothing of his entomological leanings though he knew about my beetle collection because he had seen some of it which 1 had put on exhibition on Parents day at Rannoch I had hoped to get my collection to the Royal Scottish Museum anyway, so this was very welcome. In the early days of the school one never knew quite what was going to happen next especially before the advent of Mains Electricity and an incident remembered by many took place one winter during afternoon school when ail the lights suddenly started getting brighter and brighter and then all went dark as about 130 light-bulbs blew up. The Diesel generator's governor had failed. The two masters in charge of the lighting made a spirited dash to the scene and were able to restore lights after supper which, if I remember rightly, was eaten by candle and torch light. Another surprise was the water supply which came from a specially made old reservoir up on the hills well above the School. Unfortunately the filters used at first were not too efficient, so one could find intriguing wrigglies moving about in the drinking water. This was not approved by everybody but it was fine for the Field Club! More efficient filters were put in and stopped this quite soon after the wrigglies had been noticed. There were three members of staff who moved from Epsom College to Rannoch School who were quite unconnected. 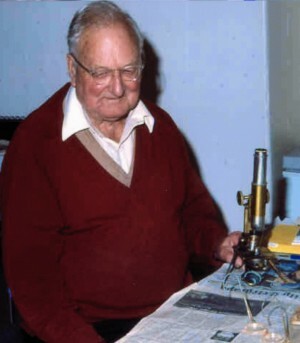 Mr Whitworth was first and one of the founders of Rannoch, who taught physics at Epsom for one year from 1955-56. However, Epsom was too well organized for him and after a short break he came to Rannoch as one of the Founders in 1959. By coincidence he took over my rooms at Epsom when he arrived there. Then I followed in 1960 and Michael Barratt in later years after I had left Rannoch. I left before the first girl pupils arrived and soon found out on returning in later years that the school was quite different. On the credit side, however, there was an increase in Art. Drama and Music and colleagues have told me that on the whole the girls worked very hard and this stimulated the boys to work harder so as not to be left behind! There was a snowfall prior to this Christmas so there was no doubt that it was a white Christmas even though the sun shone briefly for a short while in the middle of the day. The River Nethy froze up but water was still flowing in places underneath. Then came a sudden thaw just after the New Year which could be clearly felt as warmer. Some sort of dam formed up the river somewhere and then gave way and a flood came down and this caused flooding between Nethy Bridge and the River Spey. I went for a walk up the river just after this and could not understand who could have put all the large blocks of ice on the river bank. They were up to four or five feet long, two or three feet broad and a foot thick. After a while I discovered that the river surface ice had broken up when the flood came down and washed the ice blocks up onto the river bank. This was quite a notable start to my stay at Nethy, I did not see the river freeze up quite so hard again but did experience minimum temperatures of –26C on more than one occasion subsequently. Work on insect and agarics goes on but I am now feeling my 85 years a bit and cannot do as much as I used to do. I occasionally visit a high-level beetle collector who has retired to Kingsdown Road! From the bedroom I am usually given 1 can see the clocktower of Epsom College and the tops of the windows of the room I slept in for most of my Epsom College career.